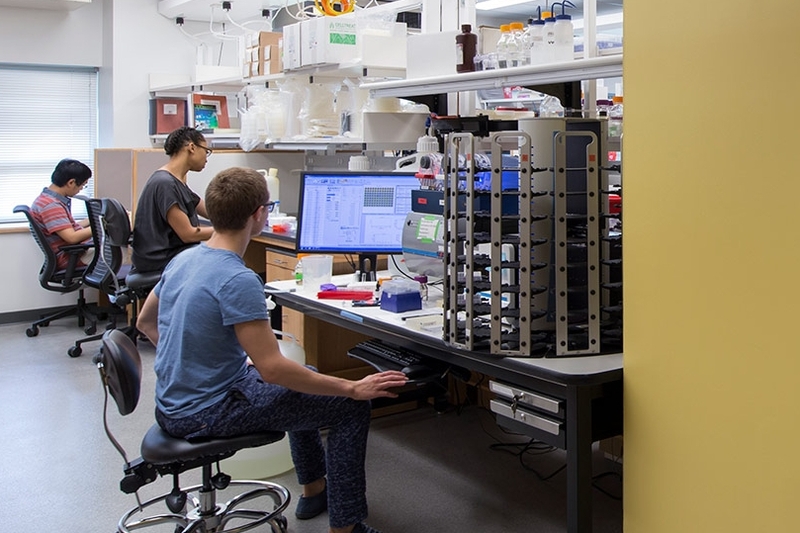 The newly combined Department of Microbiology and Immunobiology of Harvard Medical School has a distinguished history of making significant contributions to an understanding of the fundamental causes, means of prevention, and treatment of disease. 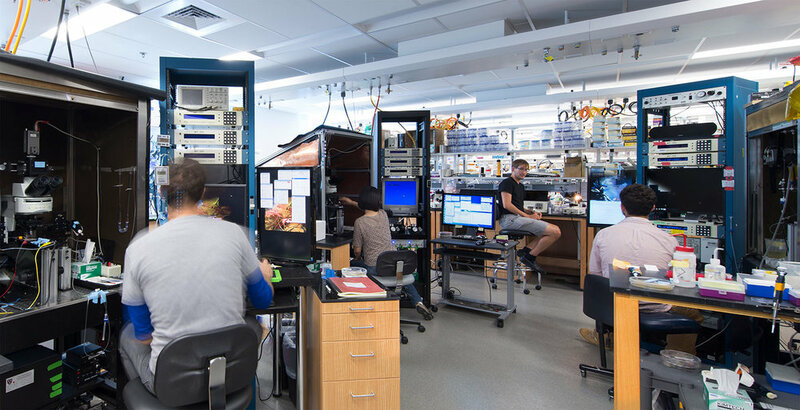 Creating dedicated research laboratory suites with associated office and core facilities that accommodate program growth, faculty realignments, support new space-efficiency standards, and advance research practices were the primary goals of our renovation. 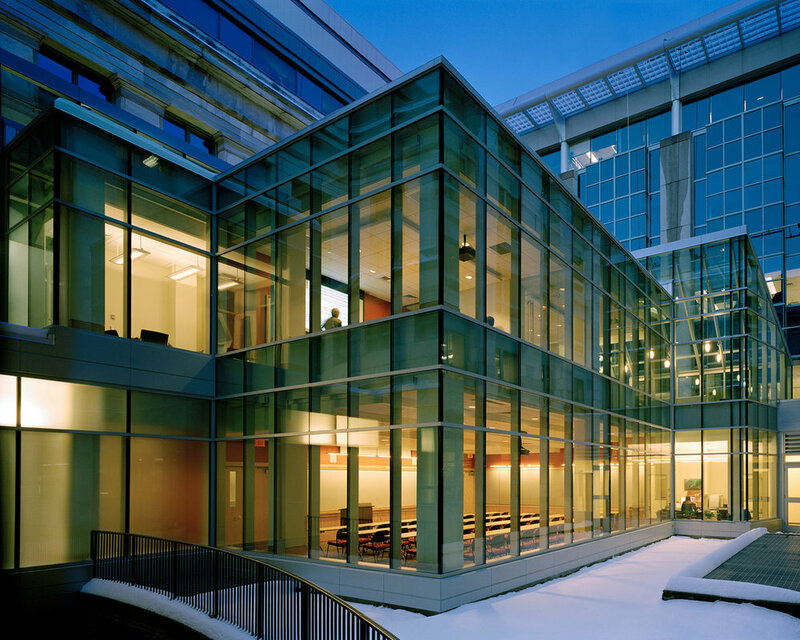 This project grew out of MDS’s comprehensive Quad Reorganization Planning for Harvard Medical School. It involved the reorganization, relocation and renovation of 65,000 sq. ft. on the upper floors of the Harvard Institutes of Medicine (HIM) and New Research Building (NRB) facilities. MDS provided preliminary space layout planning to support the HMS Dean’s Office in department relocation decisions, followed by detailed programming, design and documentation to implement new Departmental Offices, Seminar and Conference facilities, individually tailored research laboratory suites for 17 Primary Investigators, plus core research centers, lab support and equipment rooms, and common support facilities. The renovation of HIM-10 upgraded the circulation organization, interior character, visibility and legibility, lighting and design quality, while renovations in NRB maintained the predominant layout organization and build-out standards of the more-recent existing facility. Laboratory design supports individual research practices, equipment and logistic requirements, and operational needs and preferences. Shared support spaces include warm and cold rooms, hot labs, equipment rooms, glasswash, microscopy, darkroom, autoclave, freezer farm, tissue culture, conference, lounge and staff support facilities. The project opened in 2013 and is LEED-Gold certified.